My mission is to provide group and individual consultation using instructional techniques that will be affirming and educational. 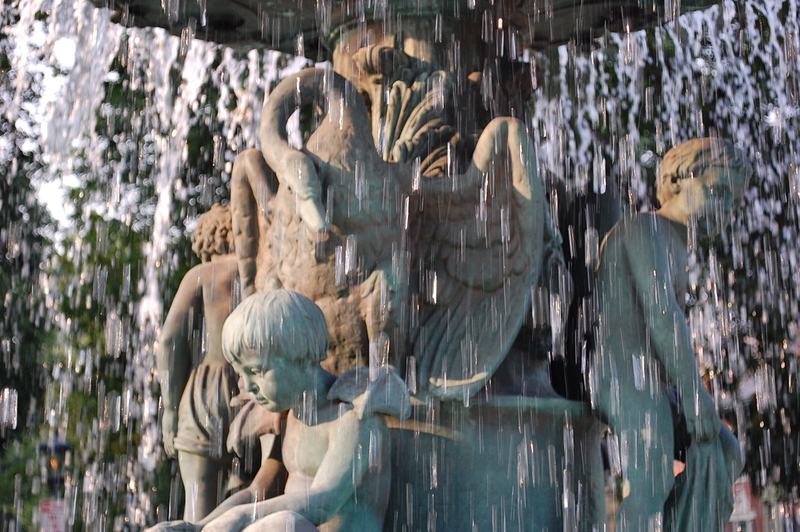 The name Shape & Flow was inspired by the fountain on St. James Court in Louisville, Kentucky. As I’ve studied the fountain, I have noticed how beautifully (and variably) the water flows. Indeed, all fountains are a synergy of shape and flow. The water tumbles over the fountain’s form to produce the white noise of rushing water, its droplets glittering in the sunlight and looking like thousands of glass beads. 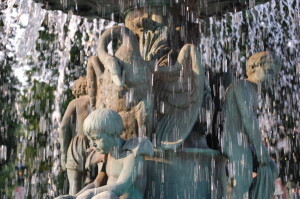 Water flows dynamically over the fountain’s bronze structure. The shape over which the water travels creates its flow. The flow of the written word has something in common with the flow of water over a fountain. All writing needs shape to flow! I believe that all persons can write creatively if they are motivated and curious. Written storytelling is a synthesis of self-reflection, research, and knowledge of the writing craft and revision-after-revision. To write fiction or nonfiction, the writer benefits from natural curiosity, attentive observation skills, and a willingness to reflect deeply on ordinary events.